Students can always write or type on a plain piece of paper for their writing, but what is fun about that? If you want student writers to really feel proud of something they wrote, publish it on special paper or in a unique way. It makes the writing stand out and look fresh. 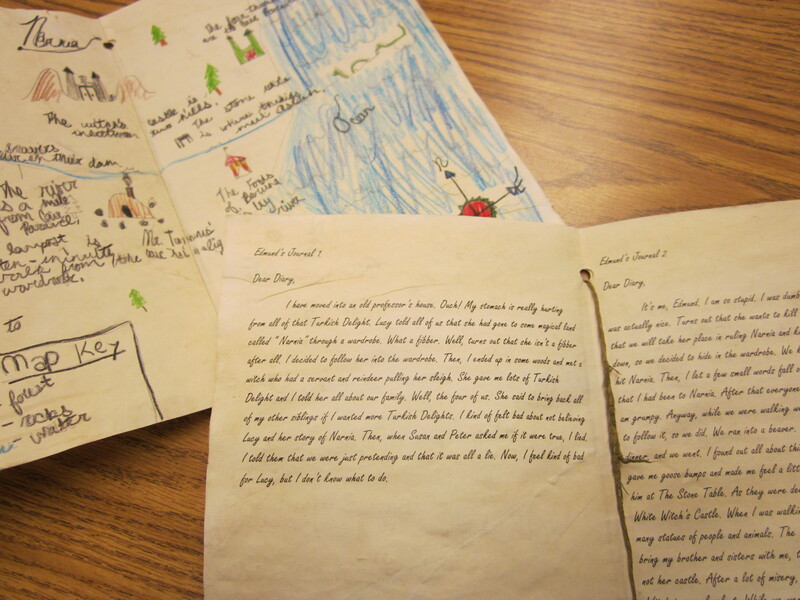 Ignite students’ interest in their writing by showing them how professional their writing can be. One of my favorite ways to publish student writing is on glossy brochure paper like THIS ONE by HP that has the same texture as a magazine. The printed product has a quality finish to it that makes it seem as if we went to a professional publisher to print. I won’t even make teacher marks on the paper when grading! It’s that special. We recently completed a magazine article style writing project, but you could complete any style of writing. To see more about the magazine feature article activity, CLICK HERE. 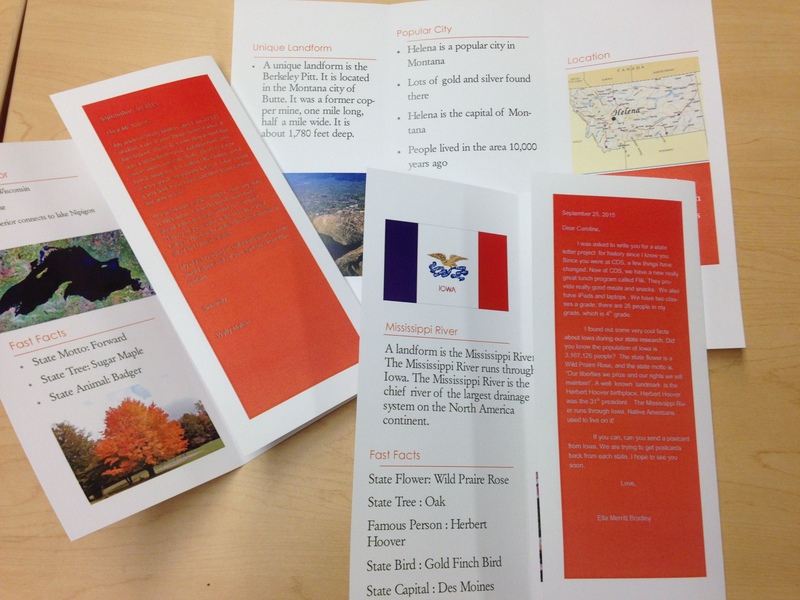 Another fun paper option is a cardstock weight tri-fold brochure paper like THIS ONE. The paper is pre-scored, so when you are ready to fold, it bends into 3 even sections every time. I opt for the matte finish on this one, but the tri-fold paper is available in glossy finish too. 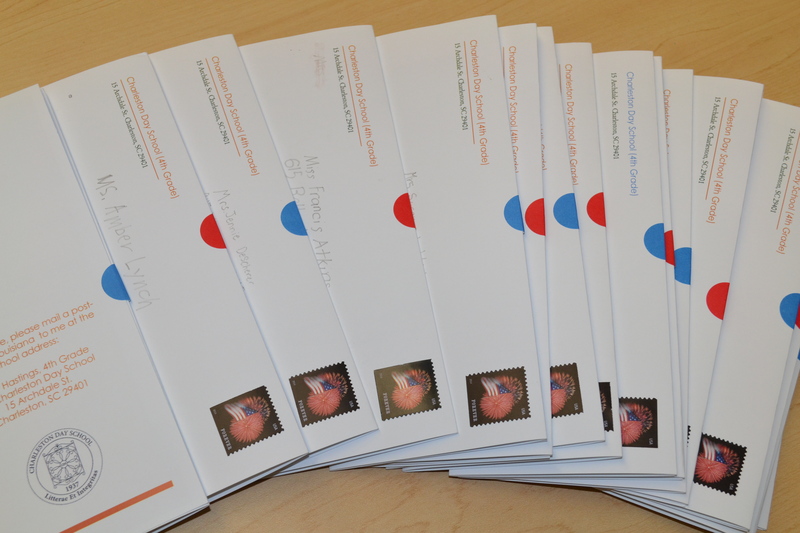 We created state brochures that we folded and mailed to our school alum. The final product looked like a real mass mailing from a legitimate business. We were all impressed. If you don’t have access to a color printer (or any printer), antiquing paper can be fun. I usually have students type their writing and choose an old-fashioned looking font. We print with a laser jet printer (ink-jet will smear later) and then stain the paper with wet tea bags. If you do not have a printer, or you would prefer that the students hand write the assignment, you can stain the paper first and have students write by hand after the paper dries. For full directions about staining paper, CLICK HERE. For more fresh ideas, click the logos in the picture below. Interested in winning a Fujifilm Instax camera with 2 film packs? Instax or Polaroid type cameras are a great FRESH tool for any classroom. 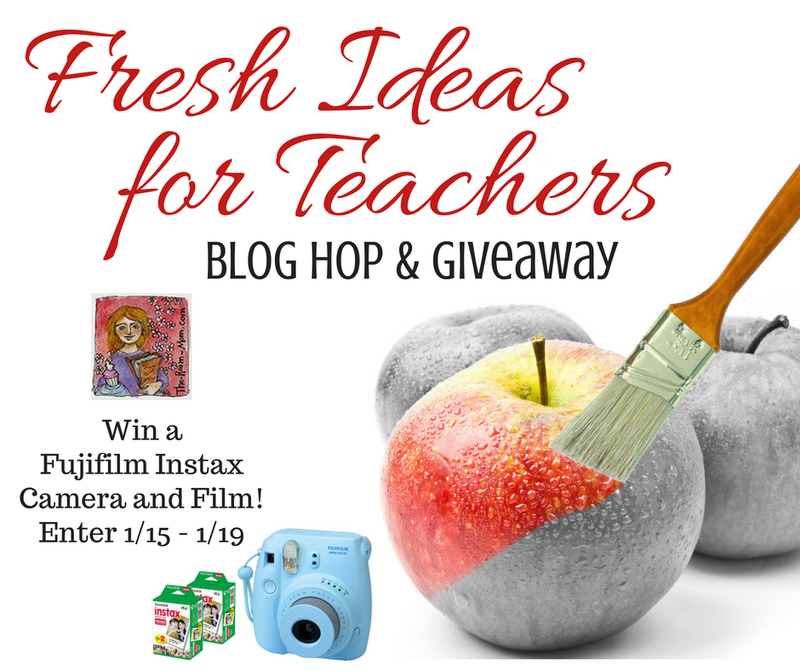 CLICK HERE to enter our Rafflecopter Giveaway. Giveaway ends Thursday, 1/19/17 at midnight. Open to U.S. residents only. Great ideas! We are ending our short story unit with students writing their own short stories. My usually disinterested tenth graders are excited about this assignment and several have guaranteed that their story will be my favorite. I’m thinking if publishing the top three in each class and creating an anthology. Thanks for the inspiration! I would love to see a picture of the final product! 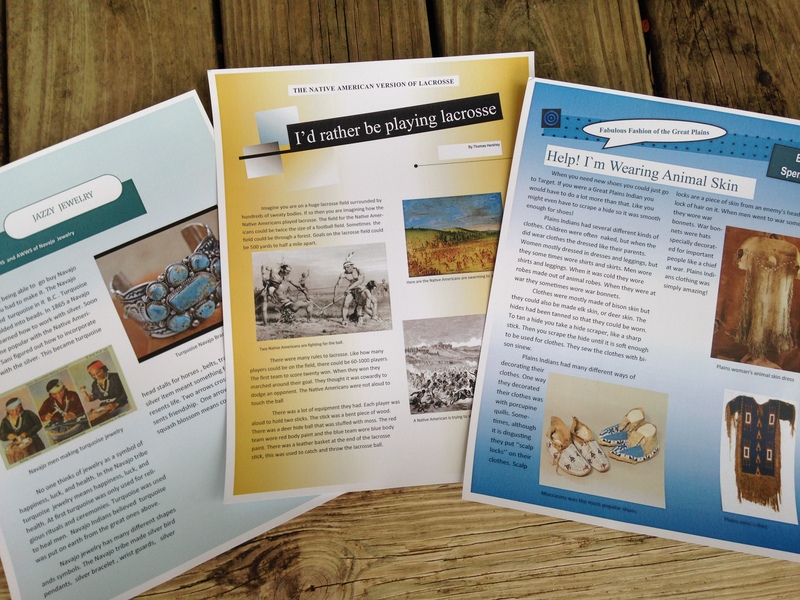 You could print half or quarter page and make it an actual booklet too. We’ll see what happens. I’m hoping the stories are as good as they say they are! I hadn’t thought of using special paper for our feature article piece. I didn’t even know that magazine paper existed! It is fantastic! Wow, those brochures really look professionally done. I never thought about using glossy paper for that. Great idea! Great ideas! I’m always looking for new ways for my students to share their writing. I’m going to have to try the tea staining technique.